As I mentioned earlier, I wanted to develop the concept of modular maps but with a few changes. So I’m embarking on a Modular Cavern project. 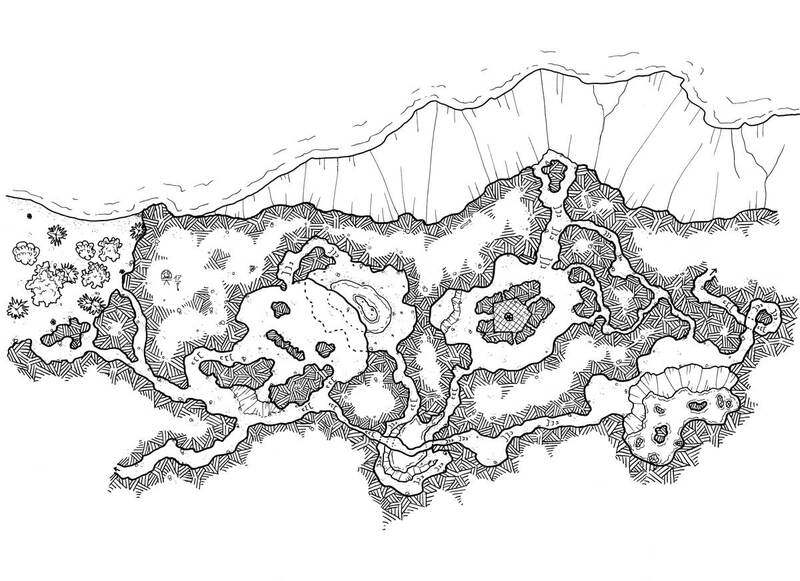 For the first level I decided to draw a cave entrance next to a lac or a sea. I already have many ideas that swarm in my head and I can not wait to draw other levels.